Colorful is continuing its tradition of selling graphics cards without coolers, for those who plan to use water blocks. Yes, this is not the first cooler-less graphics card from Colorful. 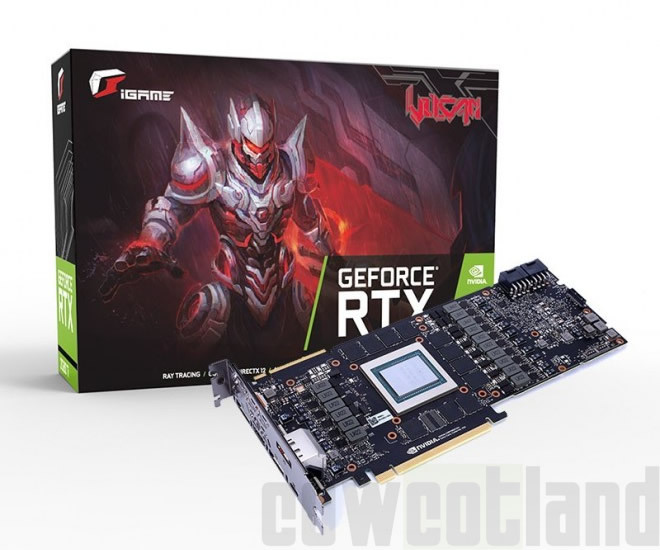 From what I learned from the manufacturer, these cards are often sold directly to Internet Cafes, which prefer to put waterblocks on higher-end systems (it limits the heat in the room). The card offered by Colorful is basically iGame Vulcan Advanced without the fancy triple-fan cooler. Obviously, it is going to be cheaper, but it is unlikely to be offered outside China. The PCB is not custom, as you can see the NVIDIA logo used for reference designs. This means that finding a suitable waterblock should be a much easier task.